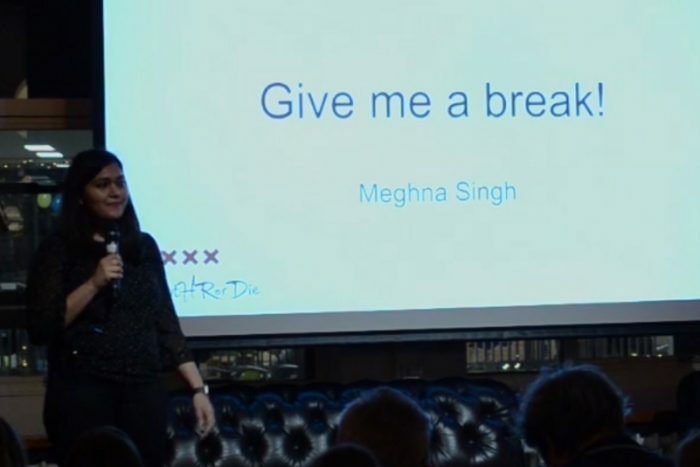 Meghna Singh’s career was well underway until she had children. She earned a MBA in HR after getting a bachelor’s in physics; began her career in comp and benefits, then moved halfway around the world to metro New York as a TA lead with Infosys. Singh was earning promotions and loving her job when she got married and had two girls. That’s when, like so many women, she dropped out of the labor market. Three years and some months later, she was ready to go back to work. “I have so much to offer,” she told her DisruptHR audience in February, that she was sure the interviews would quickly come in. “But I was surely wrong.” 20 applications netted her 20 rejections and not a single interview. “I had this massive 3-and-a-half year gap on my CV and nobody wanted to look beyond it,” she said. Finally, after going through periods of dejection and despair, success. She landed a recruiting job in the Netherlands where today she is an executive recruiter for McKinsey’sDigital practice in EMEA.